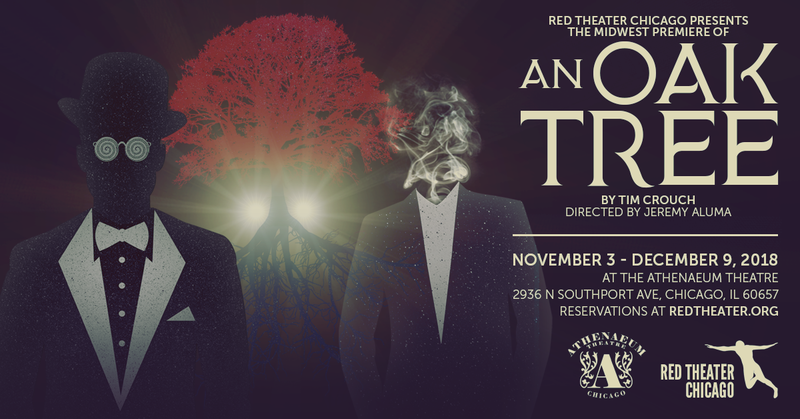 Red Theater Chicago announces the start of their 7th season with their upcoming production of An Oak Tree by Tim Crouch, directed by Jeremy Aluma and starring Gage Wallace, both Red Theater company members. Performances run November 1 through December 9, 2018. 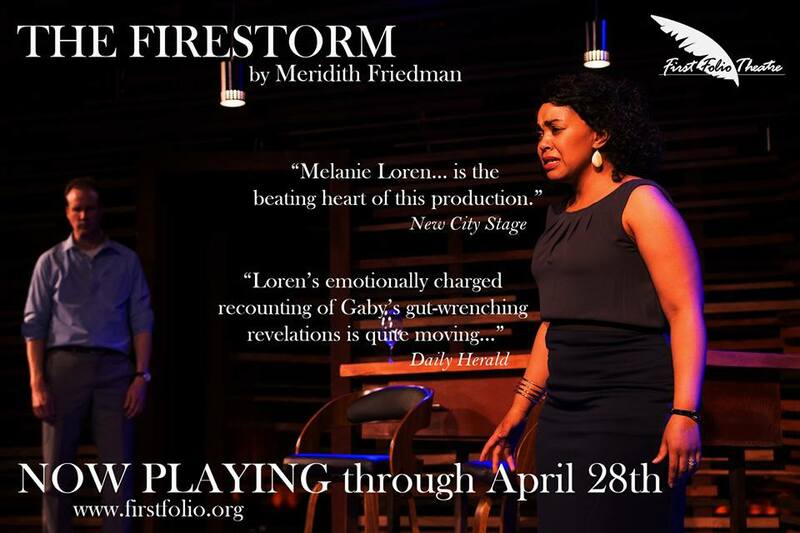 Performances run at the Athenaeum Theatre in Studio One at 2936 N Southport Ave, Chicago, IL 60657. I'll be out for the press opening on Saturday, November 3 at 8:00pm, so check back soon after for my full review. Two Actors. One has rehearsed the play. The second has never even read it. Performed by a different person each night, the second actor will discover the play and their role at the same time as you do. In this Midwest Premiere by Tim Crouch, An Oak Tree asks, how do we transform our world in order to survive our pain? How do we create our own reality? 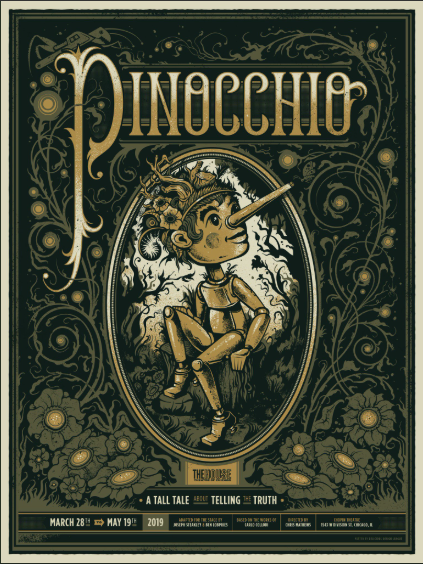 Anything can happen in this play that illuminates the magic of theater – a cheap trick and a genuine spell all at once. The FIRST ACTOR or HYPNOTIST is being played by Gage Wallace. We will announce the actors playing the SECOND ACTOR on the Tuesday prior to each upcoming weekend performances. An Oak Tree runs Thursdays through Saturdays at 8:00 pm and Sundays at 6:00 pm from November 3 through December 9. There are two additional Monday performances on November 5 and November 26 at 7:00 pm. There are no performances on November 8, 22, 23 or 29. Tickets went on sale on September 1, 2018. 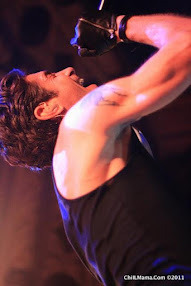 An Oak Tree by Tim Crouch will be performed at the Athenaeum Theatre in Studio One at 2936 N Southport Ave, Chicago, IL 60657. The closest “L” stop is the Brown Line at Wellington Ave. Then walk 4 blocks WEST to Southport. Turn LEFT on Southport and go to 2936 N. Southport. The best bus to take is CTA Bus #9. For bus and train schedules, contact the CTA at (312) 836-7000. There is plenty of free, unrestricted street parking in the area around the theatre west of Southport. Additionally, there is a $2/hour parking lot behind the theatre, which is shared with St. Alphonsus Catholic Church, enter this parking lot on Oakdale St. There is a second parking lot on the corner of Southport Ave. and Oakdale St, enter this parking lot on Southport Ave. The artistic team includes Alex Casillas (Scenic & Prop Design), Hailey Rakowiecki (Costume Design), John Nichols (Sound Design), Abby Beggs (Lighting Design), Aaron Sawyer (Producer) and Marisa Lehrman (Producer).